Pit Stop USA is The Online Motorsports Superstore! We feature Lund Truck Accessories at low everyday prices. Check out the Recently Listed Bug Guards. Check out the Recently Listed Carpet Kits. Pit Stop USA sells all the products you need for your 3/4 and 1-ton GMC or Chevrolet Trucks including Deflectors and Visors. 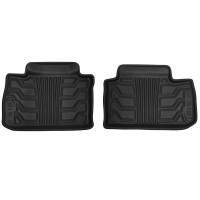 Check out the Recently Listed Floor Mats. Pit Stop USA is The Online High Performance Superstore! We feature Hood Protectors at low everyday prices. Pit Stop USA is The Online High Performance Superstore! We feature Hood Scoops at low everyday prices. 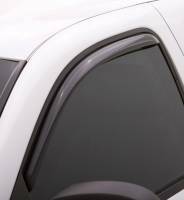 Check out the Recently Listed Side Window Visors. Pit Stop USA is The Online High Performance Superstore! We feature Tonneau Covers at low everyday prices. 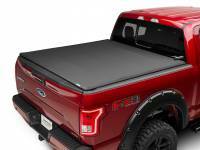 Check out the Recently Listed Tonneau Covers and Components. Pit Stop USA is The Online High Performance Superstore! We feature Wiper Cowls at low everyday prices. Lund 07- Toyota Tundra Crew Ventvisor Elite 4Pc. Lund 07- Toyota Tundra Crew Ventvisor Low Pro 4Pc. Lund 07- Tundra Double Cab Ventvisor Elite 4Pc. Lund 07- Tundra Double Cab Ventvisor Low Pro 4Pc. Lund 14- GM P/U Crew Cab Ventvisor Elite 4Pc. Lund 14- GM P/U Crew Cab Ventvisor Low Pro 4Pc. Lund 14- GM P/U Double Cab Ventvisor Elite 4Pc. Lund 14- GM P/U Double Cab Ventvisor Low Pro 4Pc. Lund 14- GM P/U Std Cab Ventvisor Elite 2Pc. Lund 15- Clorado Crew Cab Ventvisor Low Pro 4Pc. Pit Stop USA is The Online Motorsports Superstore! Premium vehicles deserve premium accessories. That's why Lund brings light truck owners top-quality products that combine innovative, distinctive styling and rugged, year-after-year durability. From running boards to tonneaus, visors to wings, hood shields to cargo management, Lund's acclaimed accessories combine the variety and eye-catching good looks light truck enthusiasts need to make a great vehicle even better. Pit Stop USA sells Lund Truck Accessories at low everyday prices.